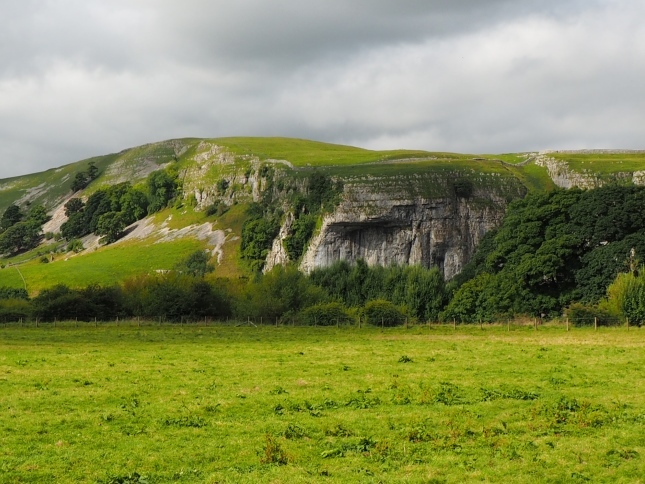 Kilnsey Crag is arguably the most famous landmark in Wharfedale, a towering 170ft high limestone cliff situated right next to the road. 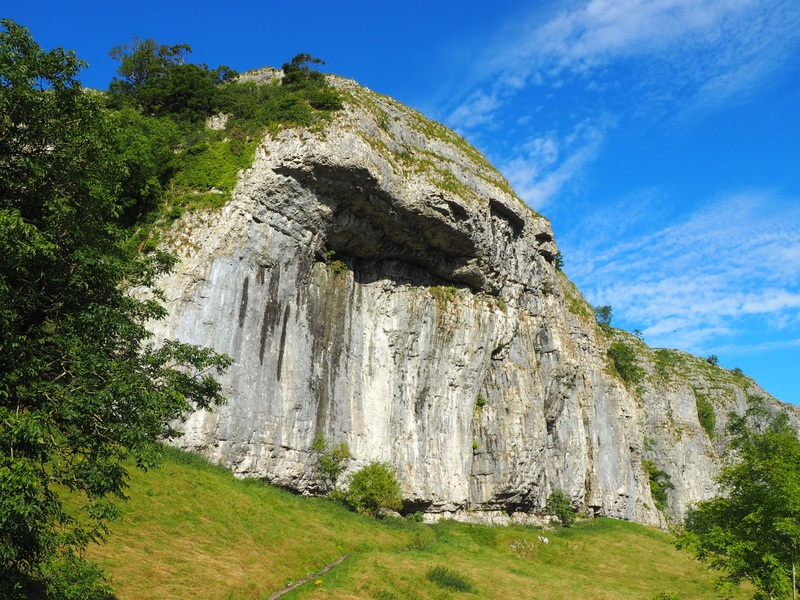 Along with Malham Cove and Gordale Scar, Kilnsey Crag is rated as one of the ‘Big Three’ limestone crags in the Yorkshire Dales for climbers. 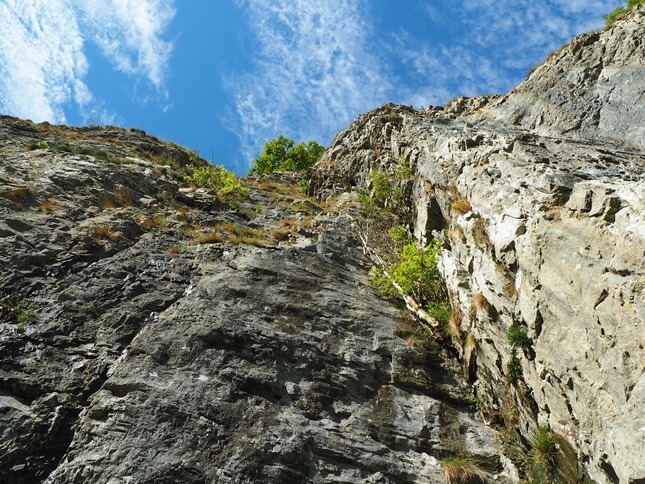 The UK Climbing website lists over 230 named routes up the crag. Indeed it is rare to pass without seeing some daredevil climber scaling the seemingly sheer cliff face. Even when there are no climbers about a close inspection reveals fastened bolts and other climbing paraphenalia attached to the rock. 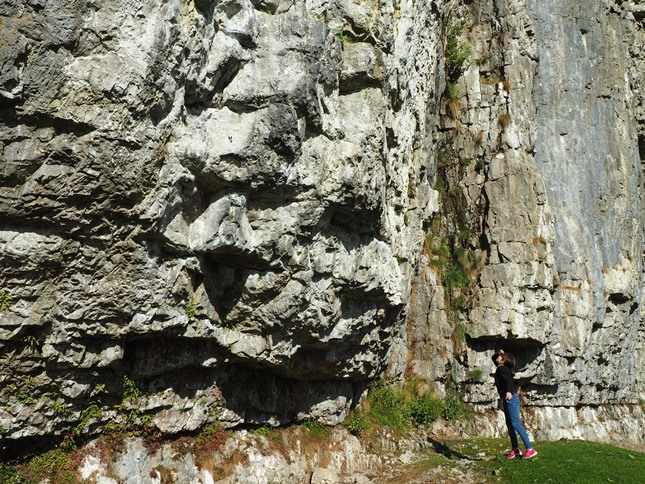 Apart from its height and the challenge of its 40ft overhang one of the reasons for Kilnsey Crag’s popularity with climbers is undoubtedly its ease of access. There are a few parking spaces on the road below the crag, a large layby just to the north and also parking either side of Conistone Bridge, a few hundred metres to the south. It is perhaps its close proximity to the road that means that, apart from climbers, it is most commonly seen by motorists heading up or down the dale. 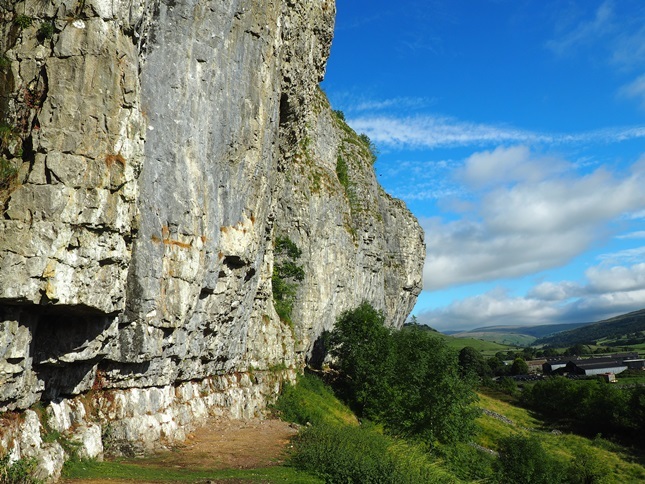 It was not until August 2016, after over 12 years of walking in the Dales and having driven past it countless times that I went for a closer at the crag. Having parked at Conistone Bridge my daughter and I walked across the fields to Scar Lathe, passing along the way the preparations being made for the Kilnsey Show. Crossing the road we then used some stepping stones to cross a small stream to take the climbers path up to the foot of the crag. 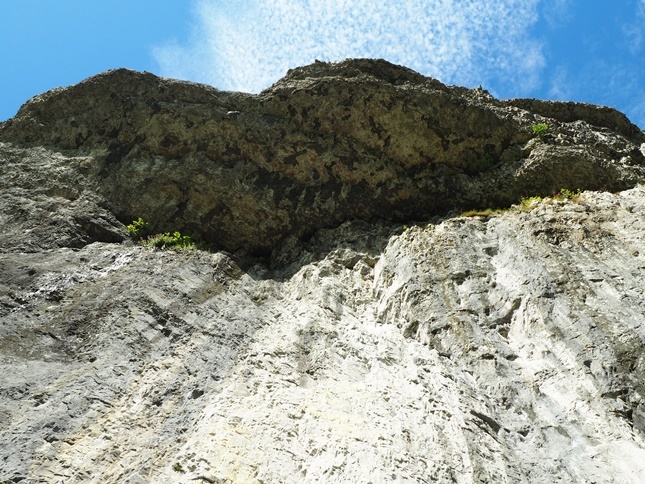 It is perhaps not until one stands at the foot of the crag and looks up that one can truly appreciate the sheer size and scale of this impressive cliff. We were also reminded that limestone is a very permeable rock as we got dripped on by the previous night’s rain water seeping through the overhang above. Another interesting aspect of the crag was its flora. Various species of ferns and flowers could be found growing at the base of the cliff or in cracks on the limestone wall. 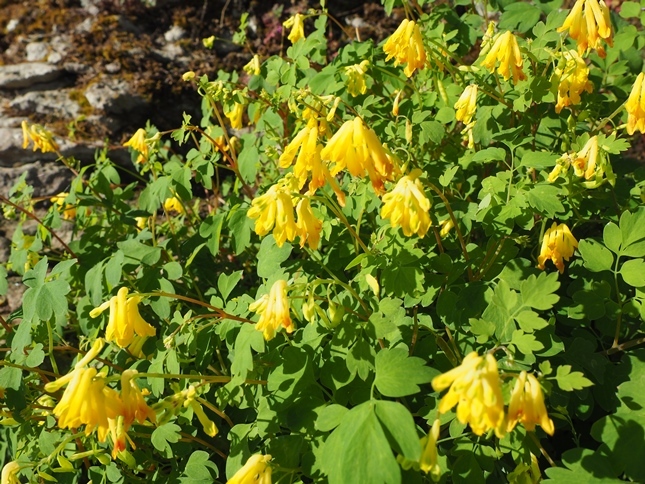 Particularly noticeable were scatterings of harebell and large clumps of yellow corydalis. Sadly I’m not an expert in this area but I’m sure a specialist could identify lots of different species. I can now speak from experience when I say that Kilnsey Crag is definitely worth more than a passing glance whilst driving past.